Home Discrimination FAQ Should I file my employment discrimination complaint with the EEOC or the DFEH? Should I file my employment discrimination complaint with the EEOC or the DFEH? If you are being discriminated against at your job based on your race, gender, sexual orientation, or other protected classification, you can exercise your legal rights by filing an administrative complaint against your employer. But deciding whether to file your complaint with the Equal Employment Opportunity Commission (EEOC) or California’s Department of Fair Employment and Housing (DFEH) can be confusing. So what should you do? California’s Fair Employment and Housing Act (FEHA) provides more protection from discrimination than federal civil rights laws, so it is usually wise to file your complaint with the DFEH. But it is a good strategy to file a complaint with the EEOC too. Doing so will preserve your right to sue your employer under both state and federal anti-discrimination laws. And it isn’t difficult—you can ask your representative at the DFEH to cross-file your complaint with the EEOC. You must file your complaint with the DFEH within one year of the last act of discrimination. You must file your complaint with the EEOC within 300 days of the last act of discrimination or harassment. If you are the victim of employment discrimination, contact our experienced legal team for advice you can trust. 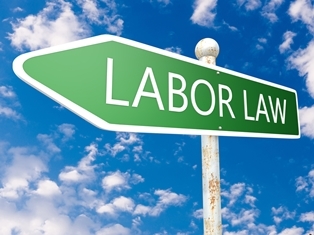 We have significant experience fighting for the rights of California workers, and we can help you to understand your legal options. Call our firm today at 949-679-9909 to schedule a free, no-obligation consultation.